Milk Chocolate coin measures 1.5" and is wrapped in gold foil. 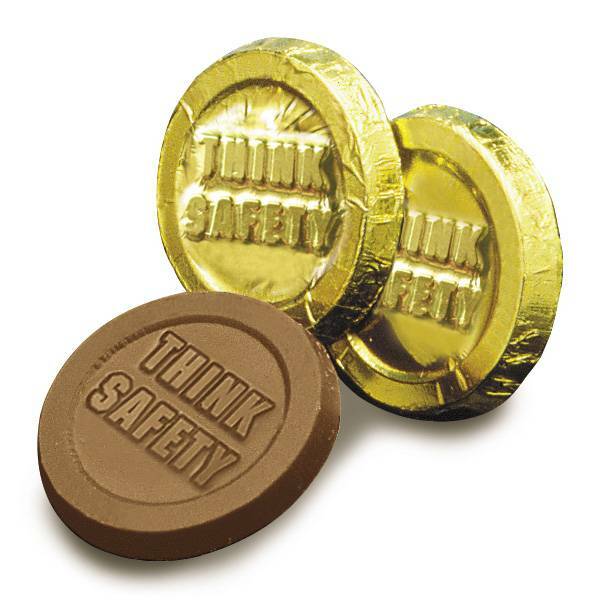 Each coin says "Think Safety." Great Hand-out at your next Safety Meeting our during National Safety Month. 15 lbs per carton of 250. During warm weather orders will be shipped via expedited shipping method. Must be ordered in full cases of 250.